Lots of elements, with most being relatively tall, angular or both. Layout should allow for a good variety of runs, but with little in the way of low, rounded roll-over elements, there’s not much to appeal to the tentative beginner. 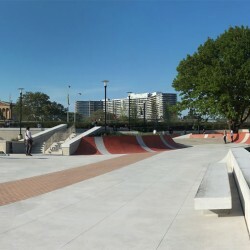 Variety of mostly street-style elements, mostly lined up side by side along a central level change. 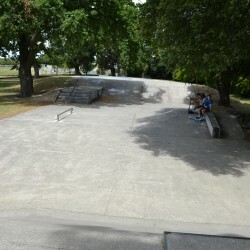 Layout makes coherent runs difficult, but could be a good place to practice individual tricks. 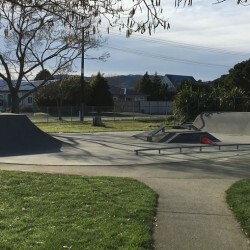 Feels more like a checklist of “things a skatepark should have” rather than a well-designed park. 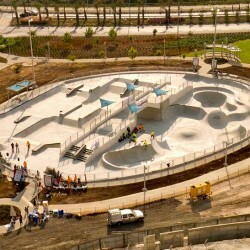 A skatepark disguised as a huge public park. Large open areas with perfect ledges, stairs and other features you would wish to find in any city street. 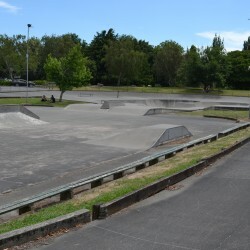 Combine that with brick transitions to planter boxes and garden area, wedges and flat banks and you have something stright outta Skate 3! Go Philadelphia! 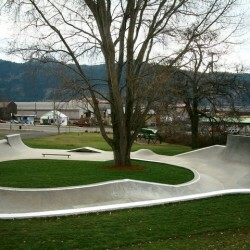 Fun little skatepark in Daubenspeck Park, Bingen. Pretty unique circular design keeps you searching for new lines and ways to attack features. 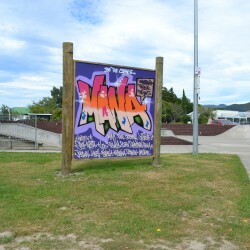 Skatepark built by Grindline Skateparks, all photos used with permission by Grindline Skateparks.